Jewell Nance Hancock, 80, of Asheboro, died Saturday, March 30, 2019 at Carillon Assisted Living in Asheboro. Funeral Services, 11:00 AM, Tuesday, April 2, 2019, at Cedar Falls United Methodist Church, Asheboro. Burial, Cedar Falls United Methodist Church, Asheboro. 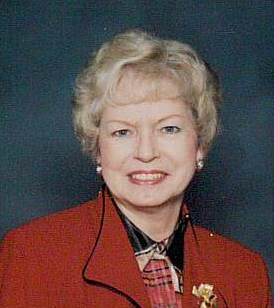 Jewell was a native of Randolph County, a member of Cedar Falls United Methodist Church, and retired from Acme McCrary. She was preceded in death by her husband, Joe Hancock, son, Joey Hancock, parents, Titus and Hazel Luck Nance, brother, Titus Nance Jr. Survivors: sister, Sharon Nance Routh, and husband, Eddie, of Frankinville, brother, Steve Edward Nance, and wife, Susan, of Franklinville, grandson, Chris Hancock, and wife, Susan, daughter-in-law, Kathy Bortz Hancock, of Bowling Green Va, sister-in-law Mildred Nance, of Ramseur. Visitation, 6:00 PM to 8:00 PM, Monday, Loflin Funeral Home & Cremation Service, Ramseur.